Will There Be a Hobbit Online Game Rush? J.R.R. Tolkien fans are eager to play Hobbit and Lord of the Rings themed online games… but will the Tolkien estate allow it? Hobbits, goblins, and elves live deep in Tolkien’s Middle-earth, but will publisher HarperCollins and the J.R.R. Tolkien estate release them to the world of online gaming? If you leave it up to them, the answer would be a definitive "no." But online game manufacturers are determined to cash on these popular characters. In fact, Warner Bros. was recently sued for $80 million over the licensing rights of The Hobbit and The Lord of the Rings characters. Warner Bros. and New Line Cinema (a subsidiary of Warner Bros.) own the merchandising rights to The Lord of the Rings and The Hobbit. But the lawsuit alleges that the company infringed on the copyright by licensing the famed Middle-earth characters to online gaming sites and online slot machine manufacturers. 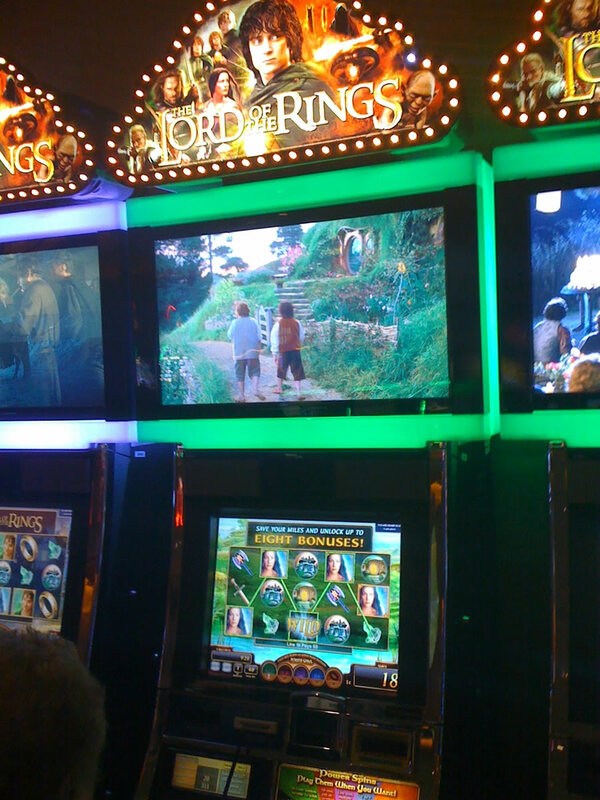 Currently, Lord of the Rings slots are among the most popular games at Vegas casinos (and others around the world). These large machines feature video clips and sound bites from the movies. With large screens and extensive bonus opportunities, it’s no wonder that players at top casinos keep coming back to the Tolkien-based machines for more and more! HarperCollins and the Tolkien estate claim that the Lord of the Rings/Hobbit brand is being tarnished and that Tolkien’s reputation for good will is being questioned with the recent link to gambling, look at starburst slot game at starburst-slot.co.uk or the pixies of the forest slot machine. Meanwhile, the Tolkien titles have grossed almost $3 billion at the box office…and that’s before the release of The Hobbit: An Unexpected Journey, the first of another trilogy of Tolkien films. Blockbuster films have long been a staple for featured-slot machines in brick-and-mortar casinos and on online casino sites. Some top slots based on movies include Gladiator, Iron Man 1 and Iron Man 2, Blade, and many others.